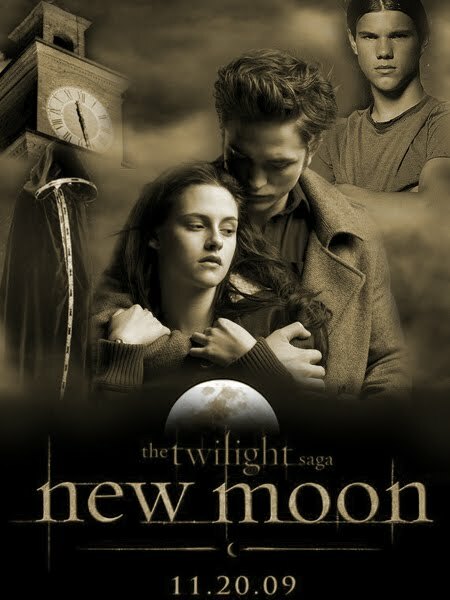 1) When going to a midnight showing of ANY Twilight movie, plan to arrive one hour early to get seats. 3) Your husband must really love you if he attends a midnight showing where a majority of the audience spends the movie squealing. 4) Squealing teenage girls are funny at 1am. 5) If I were 17, Jacob Black would be totally hot without his shirt on. And I might have squealed too. 6) If I were a teenage boy looking to meet a teenage girl, the midnight showing of any Twilight movie is THE PLACE to be. 7) You know you are old when you think Charlie is hot. 8) Your husband may find Victoria hot. 9) The FINAL season of LOST starts in January. 10) Only 222 days until Eclipse. Squeal!! I just can't believe your husband went at all. Amazing. You is sounding oh-old! LOL! I'm 55 and went to the 12:05AM screening with my daughter, Puppet. It was a blast! First we started with an encore performance of Twilight at 9PM (We got there 3 hours ahead of time. ), where we landed great seats that we were able to keep for the premiere of New Moon. It was so much fun to watch the vampire-y, hormone-ragey fanactics pile in, frenzying to find seats as close as they could get to Jacob and Edward! LOL! What a great time AND a great movie! P.S. I'm thinking over-priced popcorn tastes best, especiallly when served up for a movie we've sooo been looking forward to. I can't wait to see it again. So many laugh-out-loud funny segments, too! I am glad it was a learning experience to boot! love ya! you still mad at me over my post? midnight showing? DIEHARD! And I love that about you!